My name is Lily Shropshire. I grew up in California where I was raised in a Christian home with three older brothers and loving parents. Â I was saved at a young age while sitting in the laundry room with my mom. As she was talking with me about hell, I asked how to not go there. She told me the story of Jesus, which I’m sure she had told me before, but this time was different. Â She shared with me that He had died for me to forgive my sins, that He was raised from the dead, and that if I believed and put my trust in Him, Â I would live with Him for eternity… so I did! Â At that moment, I truly believed in what Jesus Christ did for me personally! Since that day I have had a daily relationship with my Heavenly Father and an eternal hope that is invaluable. I was saved at 14 on a short term missions trip to Honduras. Â I had previously thought I could be good enough to get into heaven, and I lived a hypocritical life. Â I had said the sinner’s prayer many times as a child but never understood what Christ had really done for me. Â I went on that missions trip because I felt it was my responsibility to be a good Christian, but God used it to grab hold of me and get my attention. Â On the very first day a 16 year old girl said something to me that God used to reveal how fake I was. Â Well that was rough, but the Holy Spirit used that girl’s words to reach down into my very soul, and over the course of a week showed me my need for him. Â I repented of my sin, and turned to Him. Â I knew it wasn’t a prayer that saved me but Jesus Christ himself, there was nothing I could do to save my self, so I put my complete trust in Christ for salvation from sin. After graduating High school, I desired to know more about the bible and began attendingÂ New Tribes Bible Institute (NTBI) in Jackson, Michigan. Â During my second semester of school God began doing a work on my heart and pulling me towards becoming a full time missionary. Â This was not what IÂ planned, however this conviction in my heart did not lessen, and I kept ignoring it because I wasn’t sure I wanted to face Â that God might really be asking me to do this. Â A New Tribes Missions (NTM ) representative, Brad Buser, came to our school to speak during chapel for the week. Â As he spoke a hard-core challenge to us about going to those that had never had the chance to hear the name of Jesus, I sat in the balcony and listened. I went back to my dorm to think about what he said and knew God was askingÂ me to give my life to missions, and to follow him. Â By the end of the week I surrendered my life to God in a way I hadn’t experienced before. I told Him I would go wherever he called me and that I would be His hands and feet and said, â€œGod… Send me!â€. Â When I told my best friend, she said that she had been specifically praying this for me, which was one of Â many confirmations. Â From that point on, I could say with certainty that God had called me into full time missions. The moment I put my trust in Jesus as my savior I knew that there was nothing else for me except service to God. For whatever reason, there was ministry on my mind at that moment, something where I would be giving my life’s work in the service of God. I was 14 at that time and though I did go on several other short term missions trips to Ecuador and Mexico, I lost that clarity in my teenage years. When I was 20 I had pretty much decided for God what it was I was going to be doing for Him. I was going to be a worship music leader at a big church and write my own music and record albums. It wasn’t bad, and I had a little songwriter in me to cover that other creative stuff. But I needed more understanding of the Bible. For a number of reasons, that being just one, I felt God was telling me I needed to go to Bible School. God used several things in my life, friends who had questions, hard situations in my church, and burning questions in my heart, to show me my lack of understanding concerning His Word of Truth. He opened the way for me to attend NTBI in Jackson through some crazy heavenly ordained circumstances. I had never heard of NTBI until one day. While on a trip to Pennsylvania five different people who I had not seen in years challenged me to do something with my life and check out New Tribes Bible Institute in Jackson Michigan. I knew just from that crazy day that God was directing me there, so I went. I had the intention of gaining Biblical knowledge to further my career as a worship leader/song writer, and I figured when I finished Bible school I would attend a worship lead training school in St. Louis. My first semester at Bible school God brought me low, He confronted me with the basic understanding of who He was and who I was. It was at this point that I started looking to God to direct me in where and how he wanted me to serve Him. I saw right away that He had brought me to a New Tribes school for a reason, and that I should pay attention to things like that. As my understanding of the need for workers to bring the Gospel to unreached people grew, I felt more and more impressed that this was why God had me there. By the end of that first semester I knew I was going into full time overseas missions work. The next semester I met Lily, that’s a couple pages worth. But suffice to say she was headed overseas as well but unsure with what organization. As my time at NTBI grew I became increasing convinced God had me there for a reason, and so through much praying by myself and with Lily, I felt confident in saying God was sending me with New Tribes. After Bible school I married Lily and we planned to attend the Missionary Training Center in Missouri by fall of 2010, but God kept us in Florida till 2012. though we were in Florida for almost 4 years, we never wavered in our conviction that God had clearly been directing us to go with Ethnos360 (formerly New Tribes Mission). Things got hard, and I doubt if many people would have questioned our motives if we had just stayed in Florida. We could have ministered to the people in our church, or we could have joined another congregation and started over. But that’s not what we knew God wanted for us, and though our circumstances were hard we fell back on what we knew was true vs. what we felt could be true. And that’s how we ended up in Roach MO in 2012. Training to become missionaries to the unreached. In my last semester at school, TJ and I got to know each other better and began dating, I soon realized I wanted to marry him. He was a year behind me in school, so while he finished his last year I went to South Africa for 9 months to assist the Farran Family. Their ministry was reaching those in HIV Hospice Care. Â I served by home-schooling their two girls (Kindergarten and 1st grade) so they could effectively learn the Zulu language together. Â While in South Africa I was able to serve in a creche (daycare) in a rural area once a week, worked in my local church singing on the worship team, and I taught Sunday School. Â This was a really great experience for me and confirmed my desire and conviction to be a part of reaching the unreached. Â While I was in Africa, TJ and I felt led by God to go on with New Tribes Missions. Â A month after I got back from South Africa TJ and I were engaged, and three months later we were married. Â We lived in Florida for almost 4 years where we were building our family, getting connected with our home church, and saving money to attend the New Tribes Missionary Training Center in Missouri . We graduated our training program in the winter of 2013, and immediately started raising our support to minister in West africa, where we felt strongly that God was leading us to Partner with Lily’s brother Del Griffith and his wife Arielle. Lily is from Central California and Tj is from Central Florida, so we split our time between these two places. We were blown away as we watched God grow our support team. by the time we left for Senegal in September of 2015, we not only had 100% of our needed financial support, but God had also supplied us with a strong sending church in Titusville, FL. We left our homes and the people we loved and set out across the Atlantic Ocean, bound for the mysteries of our new life in Africa. Our family is part of a team of missionaries devoted to seeing God’s Holy Word translated and taught in a specific people group, who, as of yet, do not have access to it. We plan on moving into a village and learning the peoples heart language alongside their unique culture. When we have reached a level of speaking and understanding necessary for communication to be effective, we will embark on the process of translation, of scripture and of lessons following the chronological flow of Scripture. It is our hope and prayer that God has been preparing peoples hearts to receive His truth as we live it out in front of them and as we teach the Truth found only in God’s Word. 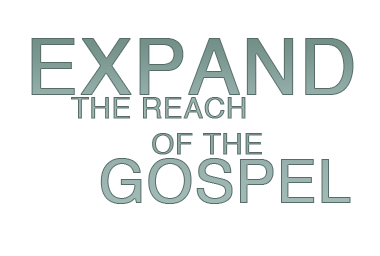 A basic synopsis of Ethnos360â€™s focus is tribal church planting for unreached people groups. Â There is a huge need to reach these remote locations and Â bring God’s Word to them. Â Ethnos360 Missionaries move to the village, build relationships with the people, learn the culture, and translate the language. Once the language is translated, and the missionaries can fluently speak it, they teach chronologically through the word of God. Adding the use of story boards and live props, the lessons are geared towards helping with comprehension.. Â The goal is to establish a strong church over a 15-20 year period through teaching the tribal people how to read and write and then providing them with copies of the Bible in their own language.